EVO Japan, as the name suggests, is a part of the Evolution Championship Series (EVO for short). This is the place that will gather some of the strongest players in the world for each game that's represented in the lineup, and you're about to dive into 3 full days of almost non-stop high level competitive fighting game action, coming straight from Tokyo. EVO Japan is also the first time EVO ventures outside the United States, which is a major milestone in the history of this event and this brand, in addition to being one of the biggest fighting game tournaments of the year, as well as a major step in expanding and developing the Japanese FGC. Originally this event was supposed to happen 5 years ago, in 2013, but sadly due to Mother Nature's involvement - EVO Japan was delayed indefinitely. 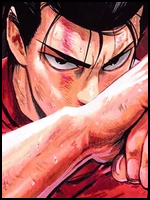 So for a long time the fate of this particular tournament was in question, despite the reassurance following EVO 2013 that the event would still take place. Finally, last year, during the Finals day of EVO 2017 - the Cannon brothers and Joey "MrWizard" Cuellar (the founders of EVO) have officially announced that EVO Japan is making a comeback, and will indeed happen. And so... here we are. The EVO staff has finished making final preparations, the clock is ticking down, and with just mere hours left until the kickoff - this is a perfect time to get all the infos you might need about the tournament in one place. 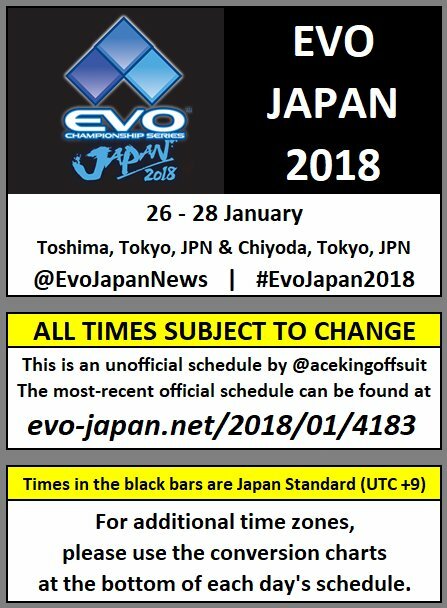 Where is EVO Japan being held? When does EVO Japan take place? 09:00 - SFV Round 3 Pools | Rev2, Tekken 7, Smash WiiU Round 1 Pools.